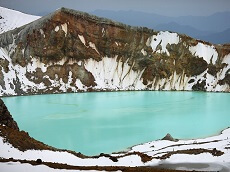 The town of Kusatsu is located at the southeastern foot of Mt. Kusatsu-Shirane-san in the northwestern part of Gunma. Kusatsu has the largest natural flow of hot spring water in all of Japan and became well known about 120 years ago after Dr. Baelz, a medical doctor from Germany, found its hot spring to be very beneficial to the health. 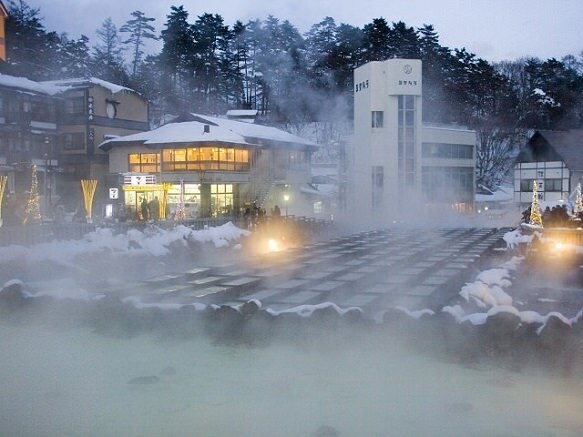 The sulfurous, highly acidic waters have been considered among Japan's best for centuries, and the resort town has constantly occupied a top spot in onsen rankings. 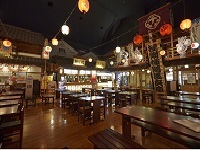 Kusatsu-onsen Hot Spring consists of eighteen public baths, each with a different effect and separate fountainhead. Most of the hot springs operate twenty-four hours a day. 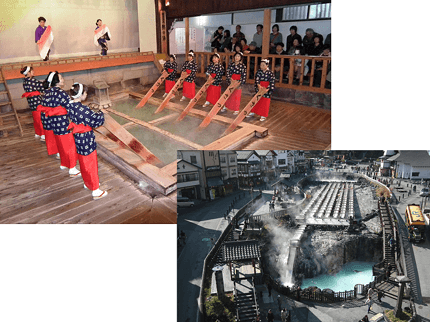 In the center of the town, two spots are particularly popular all year round: 'Yubatake,' one of the fountainheads, and Netsu-no-yu, where 'yumomi' (stirring hot water with paddle-like wooden boards to cool it down) demonstrations are held. The yunomi performance is accompanied by the singing of a local folk song. Near the mountaintop of Mt. 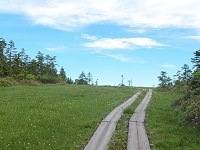 Kusatsu-Shirane, tourists can hike along the Shiga-Kusatsu-kogen Route, which is also a popular ski resort. 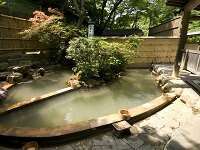 Manza-onsen Hot Spring, at the western foot of the mountain, is well known as a hot spring of high-quality milky-white water. 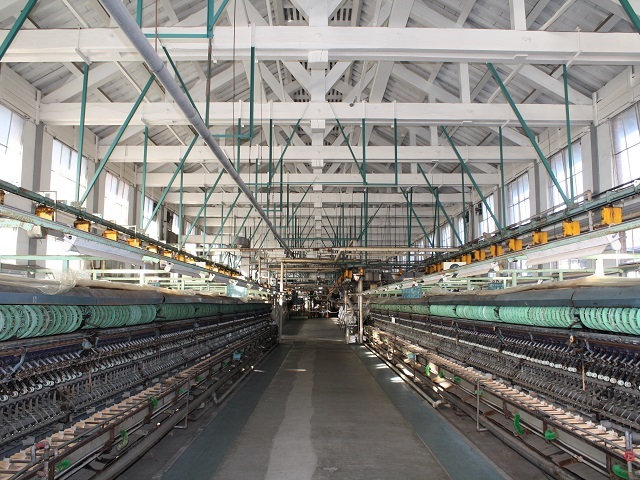 There are also a few foot baths (ashiyu) found in town that can be used freely by tourists. One of them stands next to the Yubatake, while another can be found just outside the bus terminal building.